Borden Accuracy produces outstanding actions, which are used by many top competitors in F-Class, LR Benchrest, and other disciplines. 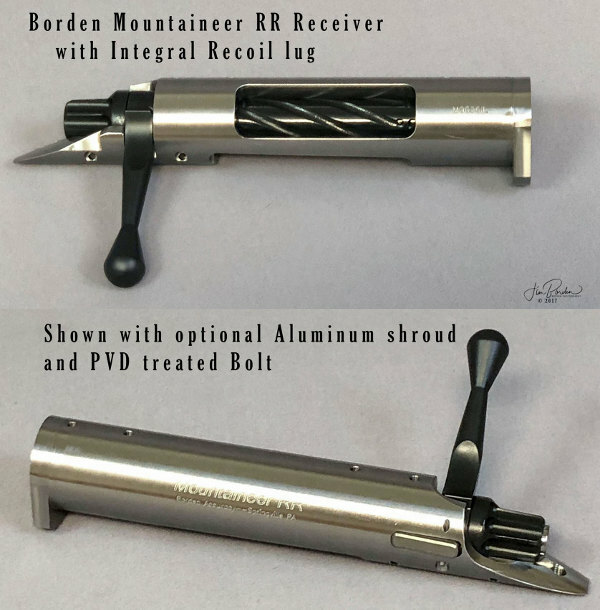 Now Borden is releasing some new “Mountaineer” actions which feature integral recoil lugs. The brand-new, multi-flat Mountaineer PRS has slab sides, while the Mountaineer RR is a cylindrical (round) action. Both actions are on sale now through December 22, 2017. 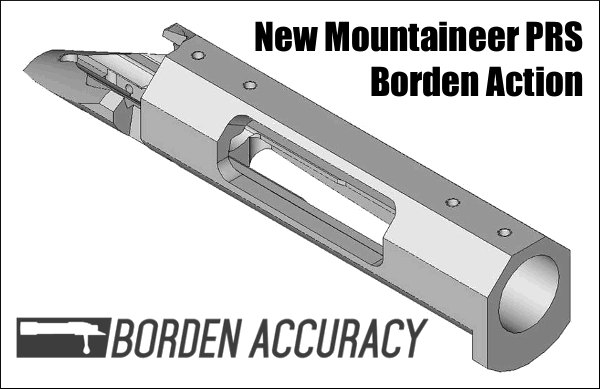 Borden Accuracy is taking orders now for the new Mountaineer PRS action with integral lug. Intro pricing available now through 12/22/17 at 3:00 pm EST. 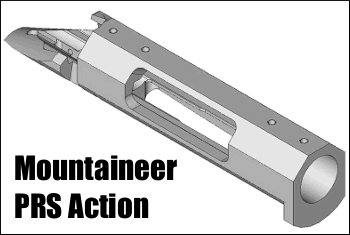 The introductory Mountaineer PRS actions will include OVD treatment on bolt and fluted aluminum shroud at no extra charge. These will be available in Short Action and Long action sizes. Medium length is also available but that requires Borden bottom metal. During the sale, the Mountaineer PRS with integral lug and multi-faceted shape and optional PVD-treated bolt and shroud will be $1345.00 UPS ground-shipped to FFL. Borden Accuracy is taking orders taking orders for the Mountaineer RR receivers with integral lug. We have an introductory sale on these now through 12/22/2017 at 3:00 pm EST. During the sale, the Mountaineer RR with integral lug and optional PVD-treated bolt and shroud will be $1295.00 shipped UPS ground to FFL. Expected delivery time will be 12 to 16 weeks. The Mountaineer RR with Integral LUG is pictured below. For more information, visit BordenRifles.com, call 570-965-2505, or email info [at] bordenrifles.com. Share the post "New Mountaineer Actions from Borden with Integral Lugs"
I wonder if there is a thread relief for the barrel shank.